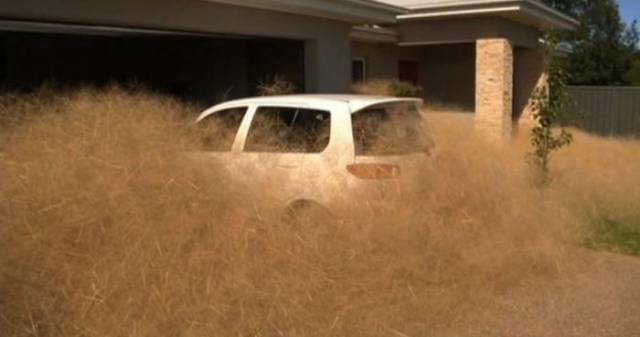 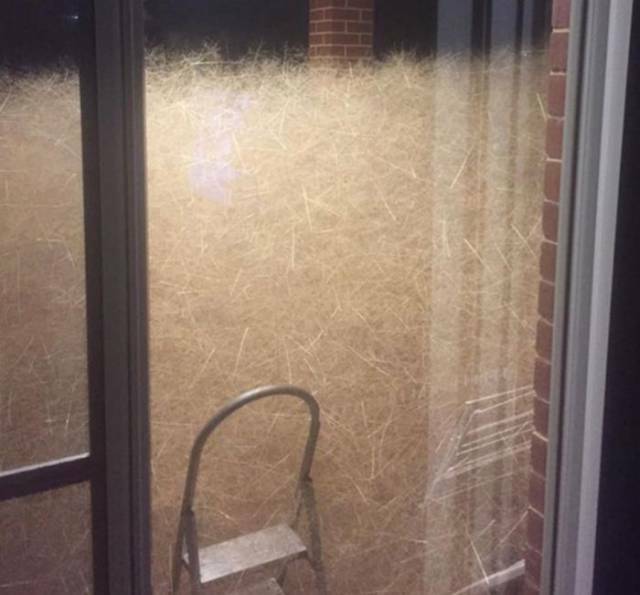 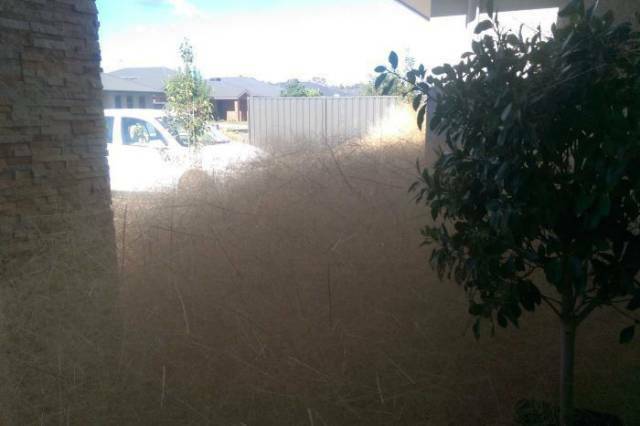 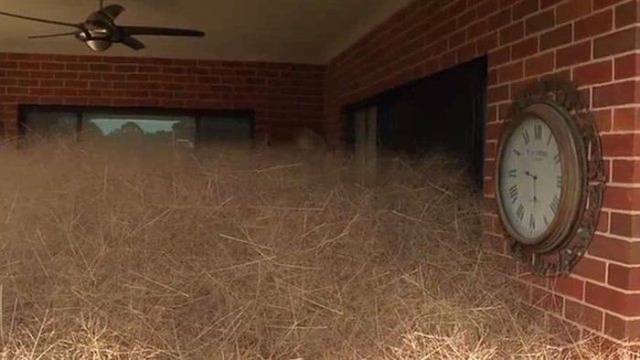 In Wangaratta, Australia fast-growing tumbleweed is taking over the city. 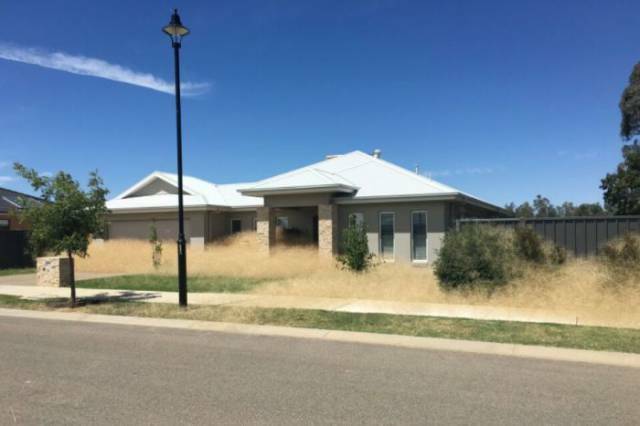 Inhabitants call it 'hairy panic' grass. 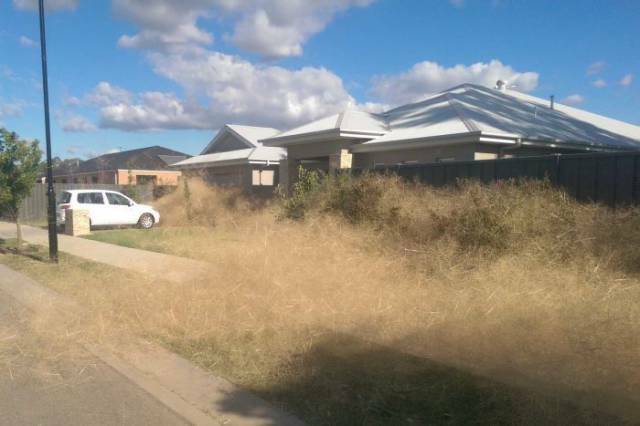 It grows very quickly and is found in every Australian state. 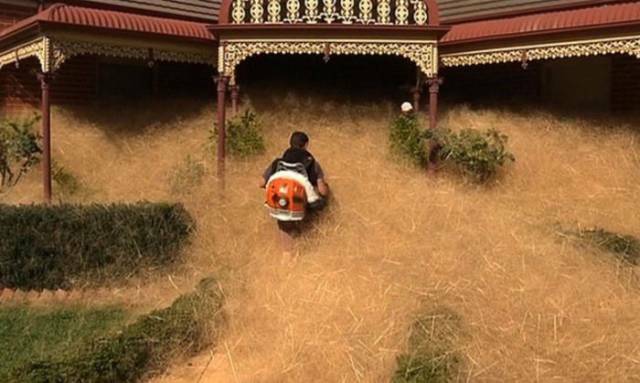 People spend hours just to get rid of it.